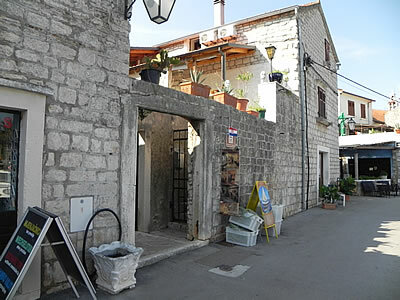 I think Vrboska should be twinned with Crail or Anstruther in Scotland, and Monterey in California. The histories are very similar. This quiet little settlement on Hvar’s north coast grew up as a fishing community, and rose to prosperous heights last century with its own sardine factory. Just like the herring fleets of the North Sea, and just like the sardine factories of Cannery Row. And just like them, the fishing fleet here is no more. The vast shoals of sardines are gone from the Adriatic, along with many other kinds of fish. There is only one working fishing boat now in Vrboska, and that’s the Bako (or Grandfather in English). But just about everyone in the village has their own boat, and regularly goes out fishing for themselves. The spirit of the fisherman is alive and well here! 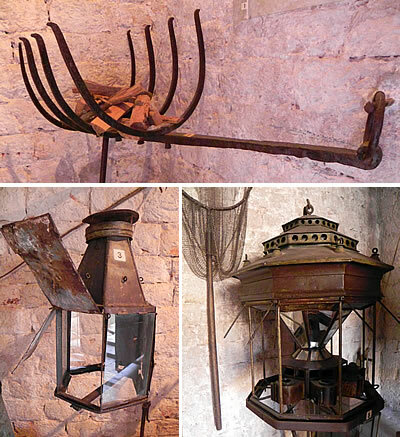 Vrboska’s Ribarski muzej (Fishing Museum, or Fisherman’s Museum) is a tribute to the fishermen of the past, a wonderful collection of artifacts that tells of a way of life that still echoes today. Starting with a copy of the 1643 Statute of Hvar that sets out the regulations governing fishing on the island: it defines the positions, when and where it is permitted to catch fish, and the types of net allowed. A fisherman would be granted a station for a year, some of the better positions would have more than one person allocated, what could be caught in the summer and winter seasons, and so on. A couple of maps in the other room show the positions in the 20th century. In 1558, Petar Hektorović set out on his 3-day sailing trip to Šolta, which he immortalized in his poetic travelogue Ribanje i Ribarsko Prigovaranje (See previous blog On Fishing and Fishermens’ Tales). All the fishing kit and techniques he was writing about can be seen in this little museum. Ah right, that’s how they managed to spear fish way 12-15 feet under the water! As you look at most of today’s fishing boats in the harbour, you’ll see a large light that can be swung out over the water. That’s to attract fish at night. 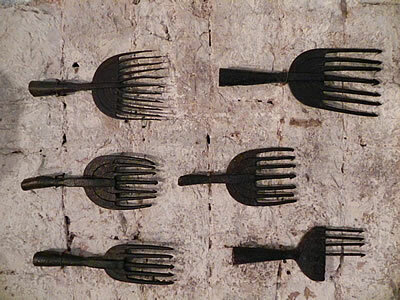 In the Museum, they have a sequence of lamps showing how the modern version developed from what was basically a metal fire grate in which wood was burned. Used up until the 1880’s, that would take about 1.5 cubic metres of wood in one night’s fishing. 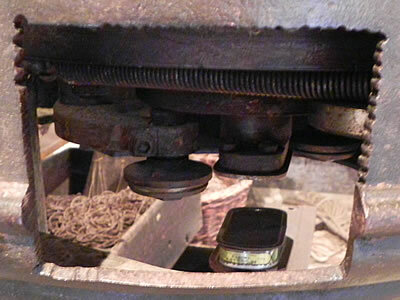 From there they moved to carbide lamps which, with no safety valves, caused many explosions and accidents! Later carbide lamps were safer, and more useful features were introduced, such as the reservoir that provided for continuous flow of the gas. But then kerosene lamps arrived, variations of which were used for years until replaced by today’s electrical ones. With no refrigeration in the old days, the fish were salted, and kept in barrels. The cooper’s equipment on display from around 1900 has probably not changed that much over the years. 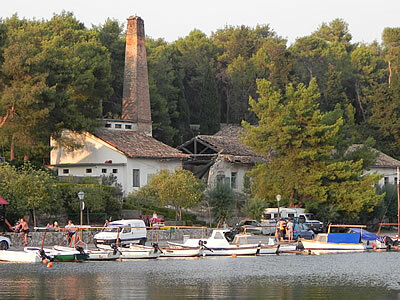 In 1894, a French company built a sardine processing factory in Vrboska. It was replaced a few years later by the one you can see on the north shore today. The building and the chimney still stand, although the roof has now partly fallen in. Rumour has it that the property has been bought and plans are afoot to renovate it and start a new business there. Personally, I’d love to see the old boat-building yard next door restored as well. Perhaps a display of wooden boat-building and a side-line of handcrafted wooden objects? Back at the museum, there’s a massive piece of ironmongery that turns out to be a machine for closing the lids on sardine tins. It uses pedal power, and seals the rim all the way round – it could do 300-500 tins in an hour apparently, which is pretty impressive! 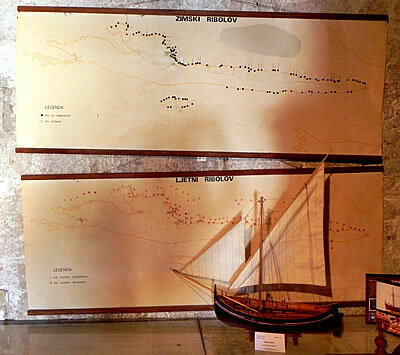 In amongst the displays of historical equipment, are beautifully detailed models of the traditional style boats, made by a craftsman in nearby Vrbanj (details below). The Leut is a lovely curvy wooden boat, with a lateen rigged sail (lantina in Croatian, pronounced lanteena). At the dockside, you can see a few of these traditional boats here and there amongst the very practical but rather boring modern fibreglass hulls. The Leut is a fairly large boat, with a covered top, while the similar Gajeta is smaller and more open. The sea conditions around the island of Hvar are generally fairly benign, however, the boats that sailed out towards Vis added higher side boards so they could ride deeper in the water (the Gajeta Falkuša). The local Lantin Society keeps the old sailing traditions alive, and holds an annual race to Vis. 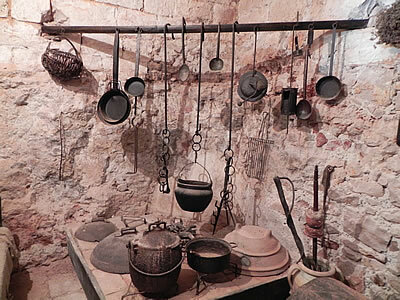 In the back room of the museum is a tableau of a kitchen in a fisherman’s house about 100 years ago or more. No convenience gadgets here, though there is an amazing early pressure cooker in solid cast-iron to hang over your fire. 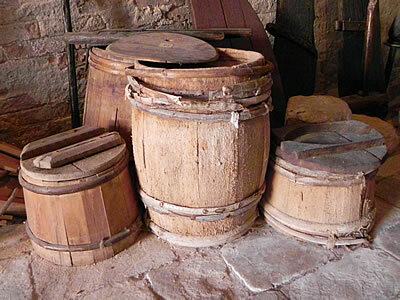 Bread was hand-made, after first milling the flour, and oil was stored in solid stone jars. There are also some greek and roman amphorae stacked against a wall from much earlier time. In fact the longer you spend here, the more you find! 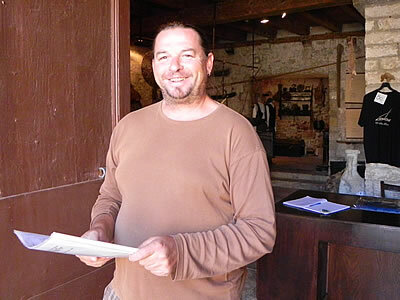 The Fishing Museum is open mornings 10:00-12:00 and evenings 6:00-8:00 in the summer. Well worth a visit! An amazing post! It’s like I was there myself. Great images!